WhatsApp enables drawing and annotating the GIF before it's sent. Use sharing strategy to toggle whether to share GIF or link. 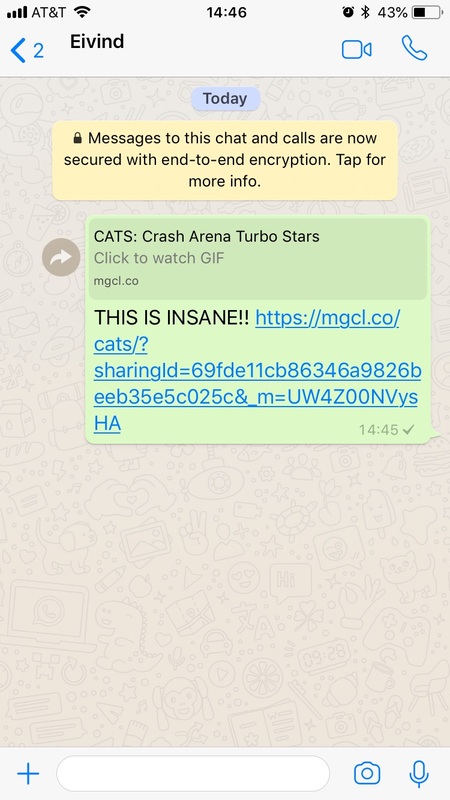 If sharing strategy is MEDIA the sender can trim and customize the GIF before sending, and the GIF is click to play for the receiver. Note that the share callbacks will always report the share as completed for WhatsApp. WhatsApp for Business ? ? ? Whatsapp Plus ? ? ?